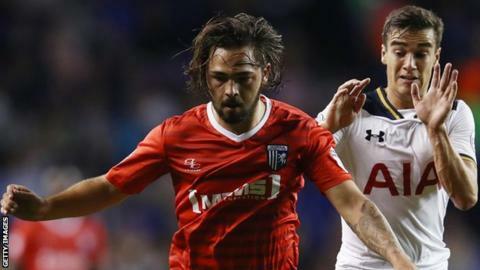 Blackburn Rovers have signed attacking midfielder Bradley Dack for £750,000 from League One rivals Gillingham on an initial three-year deal. The 23-year-old had spent all of his senior career with the Gills, scoring 38 goals in 185 games for the club. The fee does not include add-ons, while Dack's contract has the option of a further year at Ewood Park. He helped the Kent side gain promotion to the third tier in the 2012-13 season and scored six times last term. Read more on League One fixtures: Who are your club playing next season?